'Proper Lemon' (Bee Warburton, R. 1963). Seedling #93B402. IB, 20" (51 cm), Early bloom. Lemon yellow, greenish yellow. ('Spindrift' x 'Pink Cameo') X 'Mellita Vandee'. Raleigh Hills, Old Brook 1964. Honorable Mention 1965; Judges Choice 1966. 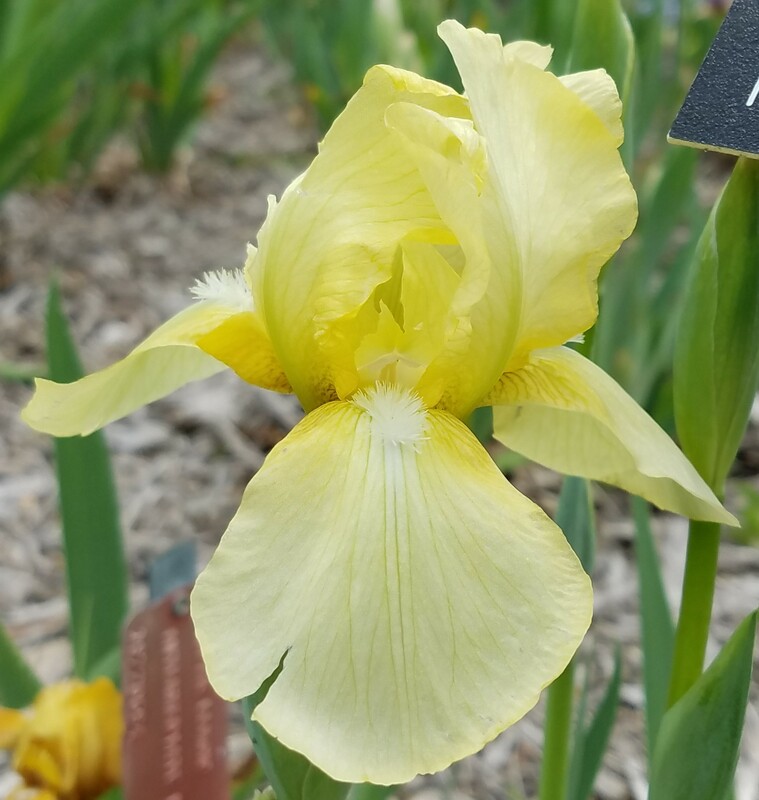 From Old Brook Gardens catalog, 1964: PROPER LEMON (Warburton '64) EM 22" • A very clean lemon-yellow self with tailored form. Fertile both ways and virus resistant. (SPC-2: Pink Cameo x Spindrift) X Mellita Vandee. Free blooming. Net $7.50.